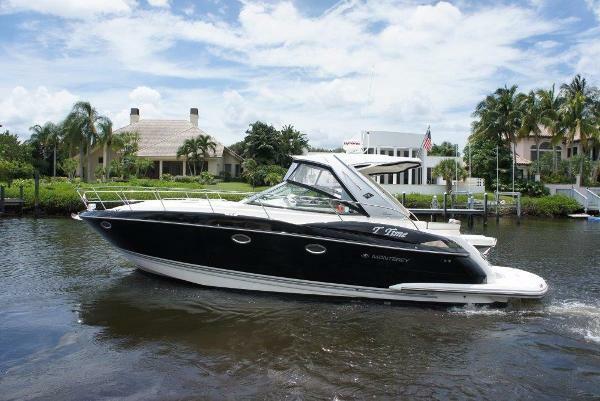 2012 Monterey 400 Sport Yacht Owner's Demo Model for sale at substantial savings. Sapphire Blue, Hardtop, Cockpit TV etc. 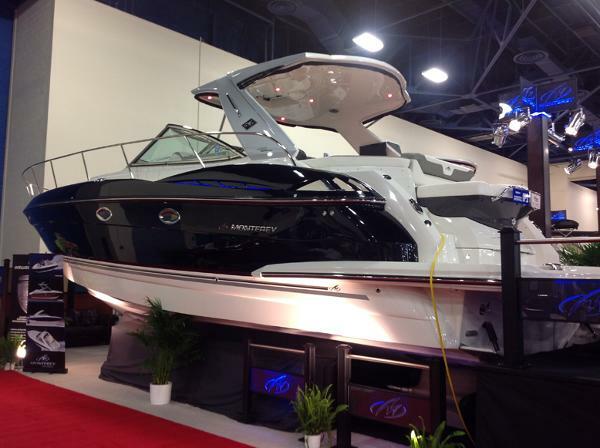 2016 Monterey 400 Sport Yacht This 41 foot long beauty redefines on water living. Powered by Volvo Penta's revolutionary Inboard Propulsion System (IPS), the 400SY is the head of the class when it comes to speed, fuel efficiency and maneuverability. 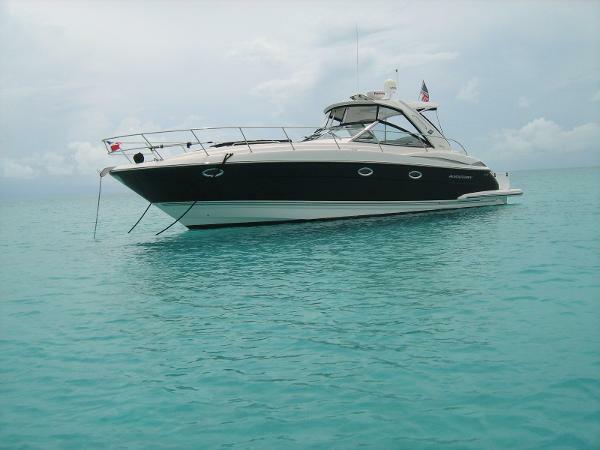 Above and below deck, this luxurious lady sports only the finest in appointments. Bow Sun pad, 3 position sun island seating at the stern, and a well equipped wet bar make the above deck accommodations perfect for entertaining guests, or lounging the day away. 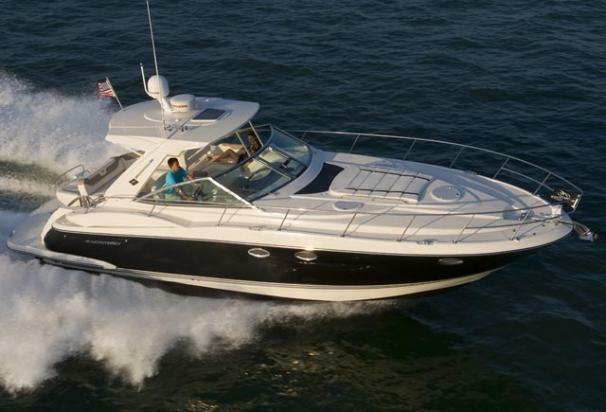 2012 Monterey 400 Sport Yacht The 400SY is the flagship of the Monterey fleet. This 41 foot long beauty redefines on water living. Powered by Volvo Penta's revolutionary Inboard Propulsion System (IPS), the 400SY is the head of the class when it comes to speed, fuel efficiency and maneuverability. 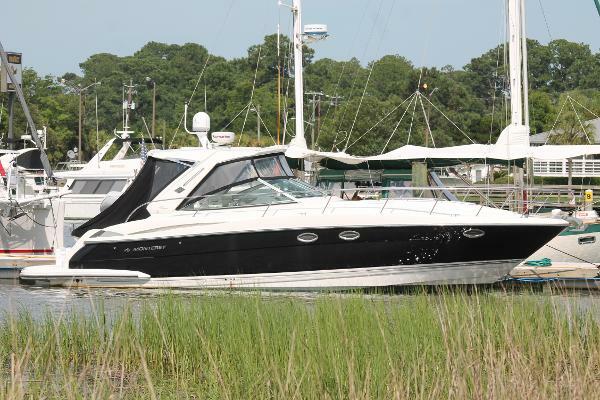 Above and below deck, this luxurious lady sports only the finest in appointments. Bow Sun pad, 3 position sun island seating at the stern, and a well equipped wet bar make the above deck accommodations perfect for entertaining guests, or lounging the day away.